Rise of the Tomb Raider’s upcoming story expansion, Baba Yaga: The Temple of the Witch, will launch on January 26, Microsoft confirmed to GameSpot today. As announced previously, this content will contain “hours” of gameplay, with Lara squaring off against new enemies and making her way through a new tomb. “This adventure expands the story of the main campaign with Lara facing deadly new adversaries, exploring a new puzzle-filled tomb, and solving a decades old mystery, all culminating in a showdown with an ancient and mythic evil. Includes a new outfit, and a new bow,” reads a line from the expansion’s official description. The expansion will be available on January 26 for Xbox One, but no mention was made of a release for Xbox 360 (via Polygon). In addition, it is unclear if The Temple of the Witch will be made available for the PC version of the game, which is scheduled to arrive on January 28. The Temple of the Witch is included with Rise of the Tomb Raider’s $30 DLC pass. Pricing for just the expansion was not divulged, but we should learn that information soon. This expansion follows Rise of the Tomb Raider’s first piece of DLC, Endurance mode, which was released at the end of 2015. Coming after The Temple of the Witch will be another expansion called Cold Darkness Awakened, which is due out later this year. 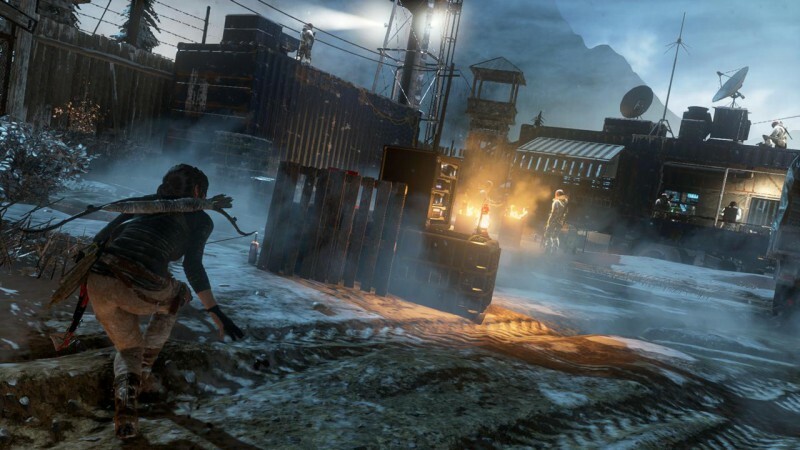 Rise of the Tomb Raider launched in November 2015 for Xbox One and Xbox 360. On Xbox platforms, the game has sold “well over” 1 million copies, according to Microsoft. The PS4 version arrives this holiday. It has been nominated for a total of nine awards, including Game of the Year, at the upcoming D.I.C.E. Awards. The action-adventure game received more nominations than any other game in the field. Next articleYou decide: is this bottle of Jonathan Blow's pee real?